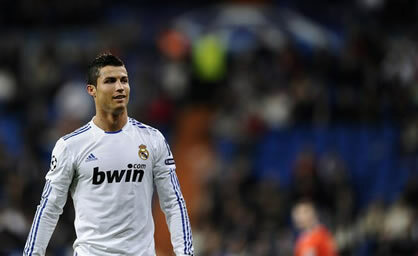 Last night, Cristiano Ronaldo scored one more goal helping Real Madrid to beat Auxerre with a 4-0 win. After the match, Ronaldo affirmed he's not worried about who will be the next opponent in the UEFA Champions League: "I don't want any particular team, since every team will be hard to play against at this point of the tournament." Ronaldo also added a few compliments to Benzema performance: "We should praise Benzema for his efforts on this game, because he did enough to earn it. He has been working a lot, and he's very professional in what he does, which is very important to the group." Ronaldo7.net remembers all the readers that the UEFA Champions League last 16 draw will take place in the 16th of December (next thursday), and the UEFA Europe League will be in the 17th of December.